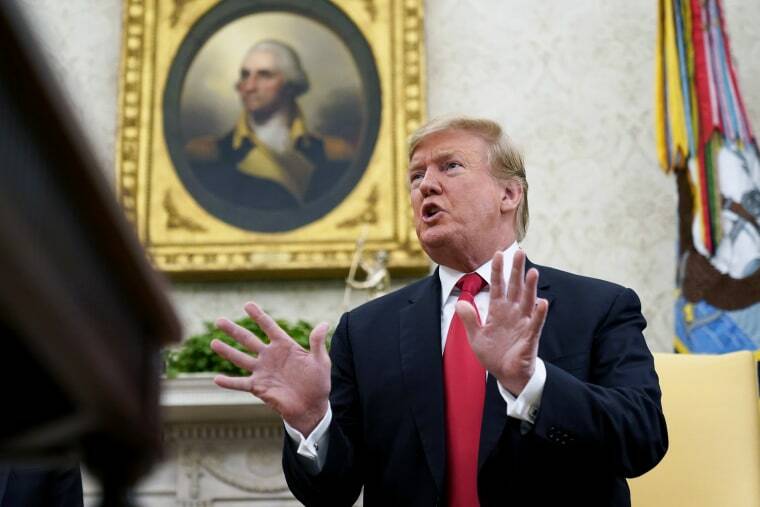 "If we don't make a deal with Congress, the border's going to be closed," Trump told reporters in the Oval Office on Tuesday. "100 percent." "Closing down the border would have potentially catastrophic economic impact on our country, and I would hope we would not be doing that sort of thing," McConnell said, noting that he agrees with the president that there is "a border crisis." McConnell also said Tuesday that he and Trump now see eye to eye on waiting until after the 2020 election to work on health care legislation following Trump's promise to move earlier. McConnell had balked at that idea. And last week, Trump quickly retreated on two of his own budget proposals — cuts for the Special Olympics and Great Lakes restoration — after hearing criticism from GOP members of Congress. Though experts have sounded a similar note to McConnell, warning that shutting the border could hurt the U.S. economy — goods worth more than $1.5 billion cross the border on a daily basis — Trump said that's a secondary concern for him.